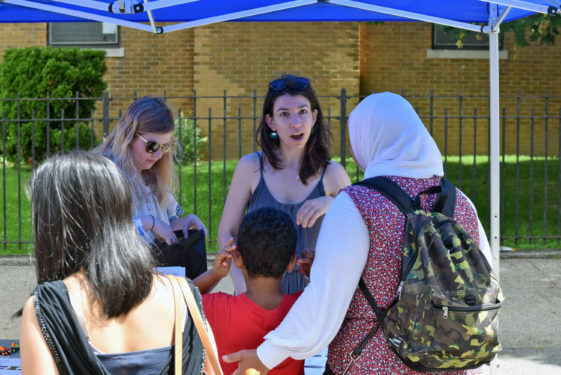 Parents and children were able to get a jump on back-to-school shopping and information on new health plans at Catholic Charites’ 10th annual Kids Fun Day block party at Our Lady of Mount Carmel, Astoria. 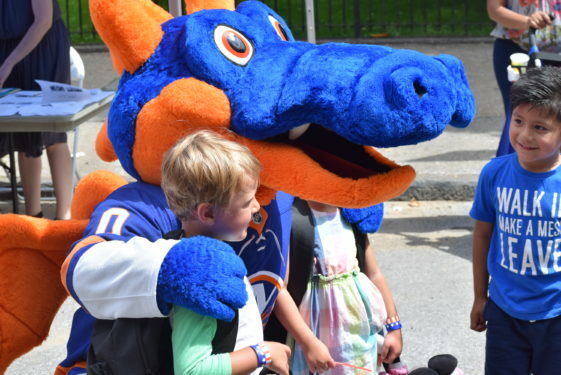 Dance lessons, face painting, and getting to meet some of their favorite sports mascots were all part of the day. 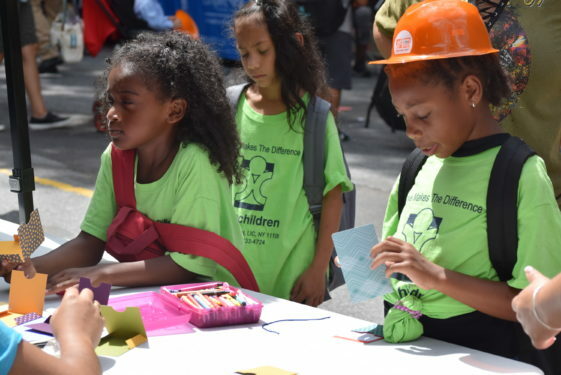 Children also enjoyed a bounce house, Home Depot woodworking, and crafts from the Queens Museum of Art. 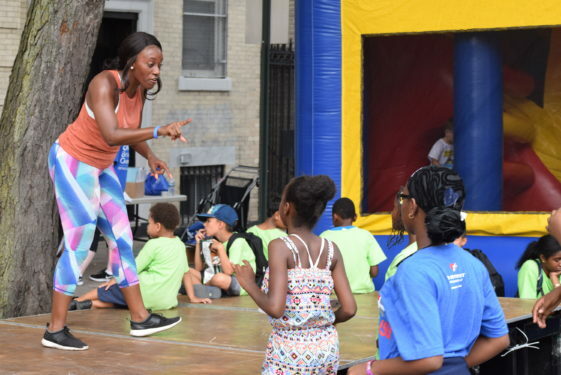 In addition to music and a Zumba demonstration for all ages, there were free blood pressure screenings from the Floating Hospital, dental screenings by Healthplex, Inc. and hands-only CPR by Weill Cornell Medical College available, along with an array of more than 35 organizations. 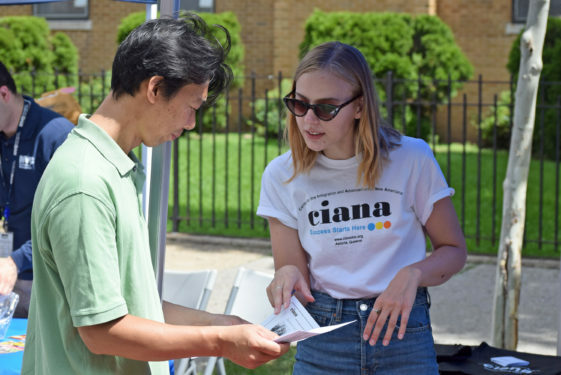 The event is geared towards families with children in kindergarten through grade eight and provides resources on health and safety. 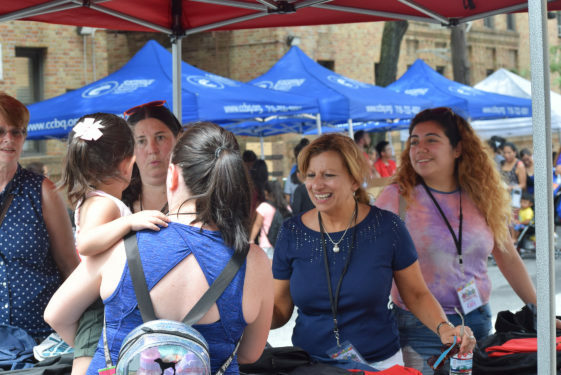 Debbie Hampson, community center director, was happy to see such great success. “I honestly think this is our best year yet. 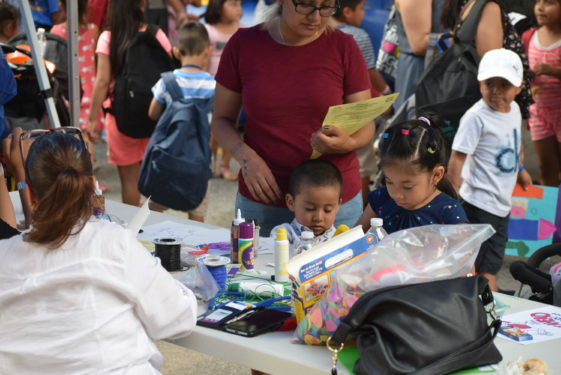 We are able to provide a fun summer day for so many children while also being to help so many parents with back to school shopping and learning about health incentives in their community. Miriam Illescas was there with her son and nephew. Her son Ryan is starting pre-kindergarten in the fall. “This is a great day as it is able to help me so much but it also is a great day for them. They are loving this. 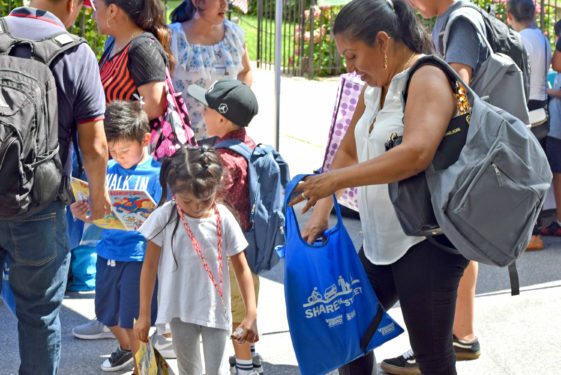 Having this right in the neighborhood is a huge help because I can start to prepare for the school year and get everything that they need,” said Illescas.